Lately, I’ve been asked more and more about the benefits of negative ions, and specifically, about what the best negative ion bracelet is. I wanted to use the opportunity to provide you with a thorough education of what negative ions are, and how they can benefit the body. In this article, I’ll do my best to answer every question you may have, as well as give my recommendations for the absolute best negative ion bracelets on the market in 2018. Let’s get right to it by first talking a little bit about what these bracelets are, and then we’ll cover my picks for the best negative ion bracelets of 2018. Click here to skip straight down to the top 5 negative Ion Bracelets. The first thing we need to do is define what an ion is. Ions are electrically charged particles that are created when an atom gains or loses an electron. Uniquely, negative ions are now understood to provide an abundance of health benefits. You won’t see, or taste, or feel negative ions, but we can inhale them and absorb them under certain conditions and in certain environments. The most common interaction you will have with negative ions will be in places with natural water flow such as near rivers, in the mist of a waterfall, or at the beach. So it’s certainly no wonder that devices that produce negative ions such as bracelets are becoming so increasingly popular. Ok, now let’s talk a little bit more about the science behind negative ions and the health benefits they provide. Like we talked about before, ions are just molecules that have gained or lost an electrical charge for some reason. They are most commonly created in nature when molecules are broken apart by things like sunlight, external radiation sources, wind, or most commonly, flowing water. 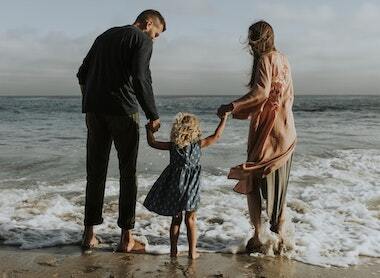 You probably didn’t realize it, but the last time you were at the beach, calmly watching the waves crash against the sand, you were actually surrounded by millions of negative ions. You were breathing them in, and your skin was absorbing them. Although the beautiful surroundings were giving you a sense of overwhelming euphoria, you probably didn’t realize that part of that amazing feeling was from the negative ions in the air. This is the same thing that happens when walking near flowing water, or standing on a windy mountain, or anywhere else in nature where molecules are being disturbed. One of the ways that negative ions improve our health, is by dramatically increasing the amount of oxygen that reaches our brain, which can result in an improved cognitive function, improved sleep, improved stamina, and improved mood. Some people are blessed with increased sensitivity to negative ions, which allows their positive effects to be felt even more dramatically. You are probably one of these lucky people if you feel especially refreshed by fresh air or being in nature. Ok, now let’s talk specifically about negative ion bracelets. What Are Negative Ion Bracelets? 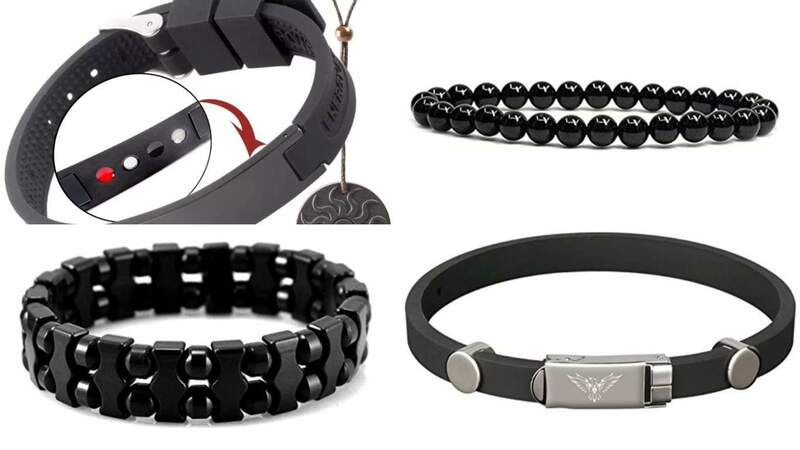 Now that we’ve established now negative ions are created, and their incredible health benefits, let’s talk a little bit about negative ion generating bracelets. Essentially these are what you would think, bracelets comprised of materials known to produce significant levels of negative ions, that can then be absorbed through the skin or inhaled to provide health benefits. So what are these bracelets typically made of? The most common material you will see by far is Tourmaline, which has incredibly powerful properties and is part of the reason you see so many products with tourmaline in my popular guide: Best EMF Protection Pendants 2018. Next, to tourmaline, you will also see minerals such as titanium, germanium, zeolite and more. Usually, these are some sort of composite made from silicone with powdered minerals like tourmaline. However, just take note that by far the most common, and understood to be powerful, mineral is black tourmaline. 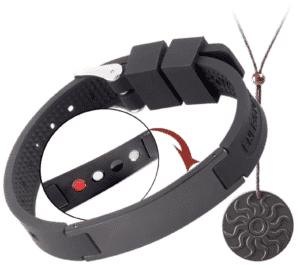 How Do Negative Ion Bracelets Generate Negative Ions? Tourmaline, for instance, is a mineral usually found in powder form in negative ion bracelets. By itself, tourmaline has been shown to produce its own electrical charge, as well as small amounts of far infrared radiation. Its ability to produce negative ions is fairly well established at this point, which is why it is so commonly used. However, in order for tourmaline to generate the largest amount of negative ions consistently, it must be either heated or placed under pressure. This is where negative ion bracelets come into play. The small amount of heat that your wrist generates interacts with the tourmaline to produce negative ions that can then be either absorbed, or inhaled. This is known as the pyroelectric effect, which is when a material generates an electrical charge when heated. Keep in mind, however, that although powdered tourmaline generates more negative ions when heated, even without heat it can produce enormous amounts of negative ions. Take a look at the video below for an example of how ground up tourmaline can produce negative ions. Ok, now that we’ve talked about what negative ions are, how they benefit your health, and how negative ion bracelets work, let’s talk about the best ones on the market. I kept all of these in mind when I made this list because I wanted it to be a thorough, comprehensive list, that saves you time when selecting the best negative ion bracelet for you. The exciting thing about this bracelet from Quanthor is that not only is it one of the best reviewed negative ion bracelets on the market, but it also has some other fantastic benefits. Let’s talk a little bit about each one. Negative Ions – This bracelet from Quanthor has a blend of powdered minerals that produces negative ions. The bracelet itself according to Quanthor emits 1000 ions per cubic cm. which is an enormous amount. Additionally, at least at the time of writing this, if you purchase the bracelet on Amazon, you also get a pendant made of pure black tourmaline. The negative ion producing effects of the pendant coupled with the bracelet will produce a wealth of negative ions for you to inhale and absorb. All in all, this is a fantastic bracelet that I certainly believe is worth considering, which is why I placed it at the top of my list. I think for someone wanting to get a large number of negative ions into their system, that the additional pendant is a great value. Quanthor makes quite a few products, including some great EMF protection products, and if you want you can check out my full Quanthor review for more on this. Check out the listing on Amazon here. There isn’t much to say about this bracelet, because it is extremely simple, which is part of what I like about it. Although the Quanthor bracelet I talked about previously has some exciting features, if you’re just looking for an inexpensive negative ion bracelet that really works, this should be your go-to. It is a simple bracelet made out of 100% pure black tourmaline beads from Brazil. It is extremely high quality, and actually quite attractive. 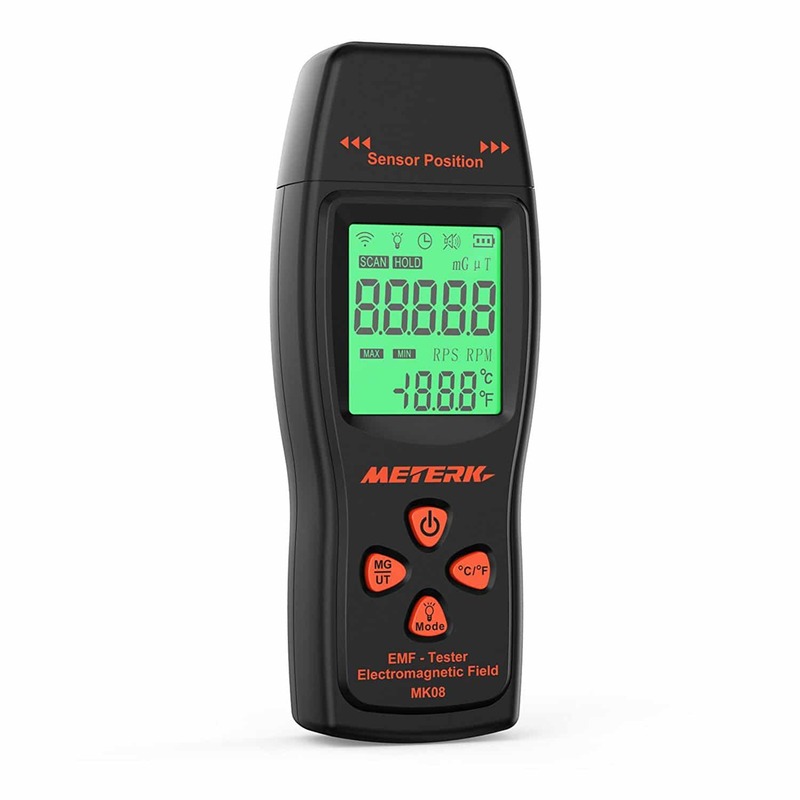 According to the manufacturer, it has measurably produced 1662 negative ions per cubic cm. This might be partly due to the fact that the bracelet is designed to have the black tourmaline beads rest directly on the skin. This gives us that pyroelectric effect we talked about earlier that helps to produce more negative ions by heating the tourmaline. This is another pretty great product, but a little bit on the more expensive side. 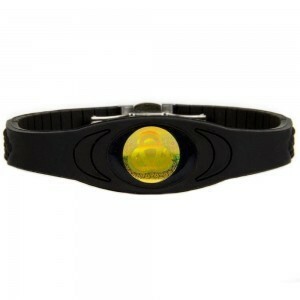 For the actual generation of negative ions, the bracelet comes with a blend of tourmaline and germanium which the manufacturer says produces 1800 ions, which is a fair number. There are also 2 x 500 gauss magnets, one on each side of the band, which I won’t go into the health benefits of in this post. It has a safety disconnect feature, which they mention makes it a good and safe choice for rock climbing as well as professions such as firefighting, law enforcement, or the military. The product also claims to provide some protection from EMF radiation, but I’m not sure this is backed up with enough science for me to believe it. Overall this is an attractive product that has great reviews, but would not be my absolute first choice for a negative ion bracelet. I don’t have a to say about this bracelet, because it is very similar to the simple tourmaline HiTreasure necklace I put in the #2 spot. This is made by the same company with the same beads. The primary reason I didn’t list it higher is that the design doesn’t allow the beads to rest directly against the skin, which from what we’ve learned about tourmaline, is certainly ideal. 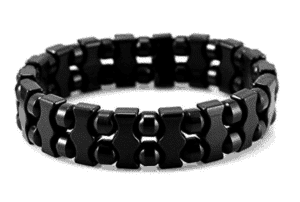 However, this is still a great negative ion bracelet, with an attractive design from a reputable company, so I still wanted to list it. They list the negative ion output of this bracelet at 1094 per cubic cm. This is another exciting negative ion bracelet that is pretty feature rich. 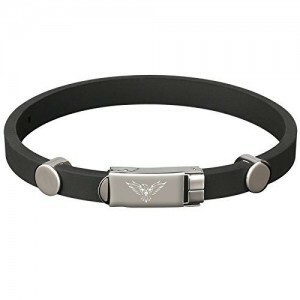 It has a nice adjustable band, as well as a hypoallergenic stainless steel clasp. The bracelet itself is made of surgical grade silicone, which is combined with a blend of negative ion minerals, including tourmaline, titanium, and germanium. They claim that this gives the bracelet a power rating of over 4000 negative ions per cubic cm, which is the highest of the bracelets I’ve recommended here. The band can be selected in a wide variety of attractive colors, which is nice. Overall the reviews for the product are quite good, especially since they redesigned it fairly recently. 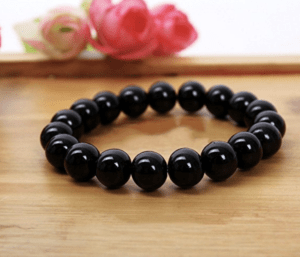 This is a bit more expensive than the simple tourmaline bead bracelet, but it seems to produce a larger amount of negative ions and might be worth considering. 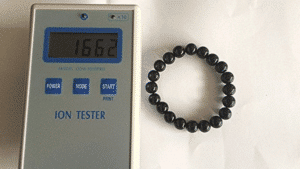 Are Negative Ion Bracelets The Best Way Source Of Negative Ions? This is a little bit difficult to answer. First of all, no, there are certainly other devices that produce many more negative ions. However, these devices are stationary, so you will only be able to get their effect when near them. The best benefit of wearing negative ion jewelry like a bracelet is that it is with you all the time, so you are constantly benefiting from its effects. So What’s The Best Source For Negative Ions In The Home? Without question, the best device on the market is IonPacific Negative Ion Generator. Since this post is about the best negative ion bracelets, I won’t go into much detail about this product, but suffice it to say it is pretty incredible. Let’s just talk about some of the features. First of all, each unit before it is shipped is tested to ensure that it generates at least 20 million negative ions per second. Think about how much that is for a minute. At these levels, the IonBox also purifies the air and is capable of removing tobacco smoke and odor, bacteria, allergens, pollen, pet odors, pet dander etc. So not only are you inhaling healthy negative ions, but you are also benefiting from cleaner air. The device does not have any filters, so there are no parts that you need to purchase or replace. It is small and light so it is very easy to travel with. The bottom line is, although I strongly encourage you to pick up a negative ion bracelet, I’d also really encourage you to take a look at the Amazon listing for this product because it’s pretty incredible. Ultimately I think negative ion bracelets are a great product and are certainly worth considering. My favorite bracelet is still the Quanthor, especially since it comes with a negative ion producing tourmaline pendant. 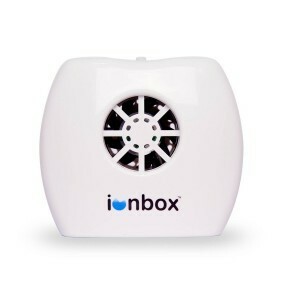 I would also strongly encourage you to check out the IonBox, as it is certainly the best negative ion generator on the market today. I really hope you enjoyed my guide on the best negative ion bracelets, if you did, please consider sharing!